Colors make your world so bright, glowing, happy and sensible. With the touch of every color one can feel the sensation of various feelings around the interior or spaces. 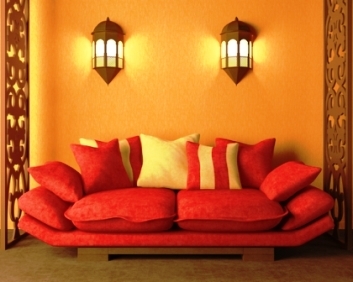 Choosing an appropriate color for interiors is just not a simple job to do. In fact, every color has its own negative and positive impact on humanpsychology so, you need to be very careful and patience while choosing the right color for your interiors. Render the walls of your interiors and exteriors with the amazing touch and feel of bright and light colors. You need to understand as well as have to be tricky during the implementation of colors. You may go for a contrast or monochromatic theme but based on these themes use of the percentage of individual color should be taken good care of. 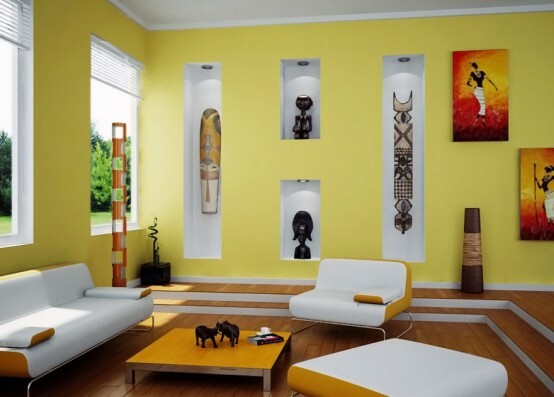 Few colors which are very common and have great bright positive impact for your interiors are like yellow, orange, cream, white, denim blue, pink, dark pink, royal blue, etc. But it doesn’t mean you can relax back and set a color theme based on these common colors without thinking about the real outcome of the implemented product without any other combo or contrast. If you want colors to speak then you need to make them speak loud, soft, melodious with the amazing color themes, contrasts, patterns etc. Red is considered to be the most romantic color but it has the negativity of aggression and anger. Red is loud but when if combined well with the sober and pure white it gives a melodious and amazing combination. 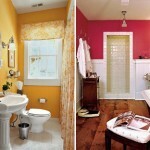 Mix up well the negative and positive of two or three colors to get the most appreciable and long lasting interiors. So be careful while putting on such colors whose negative impact is more powerful than their positive such colors are red, black, brown, dark green , dark purple etc. Always remember that light and soft colors have bright, glowing and instant positive energy and are best for the interior spaces. 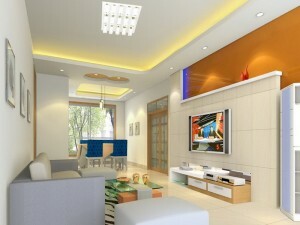 Light colors if installed on the walls of living room, kitchen, bedroom, bathroom, family room, kid’s room etc. it gives one of the best outcome. Whereas dark colors are good combination for contrast themes and has the power to create a powerful impact if played properly with tints. It is basically the game of powerful and clever use of positive colors over negative colors. All the colors are interrelated and are incomplete without each other, so we need to implement all and play safely with dominating and non-dominating colors under the same roof. As too much of light color makes it boring and dull and on the other hand too much usage of dark colors makes the interiors sound loud and irritating. 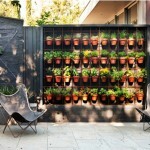 Blend them well together to form the perfect pleasing solution for spaces. Distemper – The most common type of paint sed for painting houses and the most economical for your budget considerations. Luster& Emulsion –Both Luster and Emulsion are almost similar type of paints and it gives matt finish to the walls where they are applied. 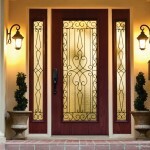 Enamel paints – The most expensive and a good quality paint which provides glossy & matt finish. For exteriors paintings we can choose from Emulsion & Cement (expensive type of exterior paint used for house painting apart from emulsions). So, now you know about the colors, different types of paints etc. 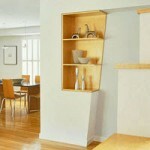 Choose according to your budget, choices, likes, room size and shape, furniture etc. and make your spaces more beautiful, complete and glowing. 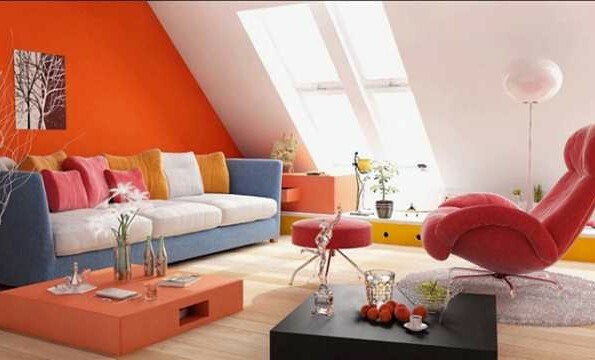 After all, this world is incomplete without colors and so is your interiors.